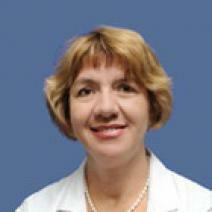 Diana Maceejewski - known in Israel as a doctor onkoradiolog having the highest degree of skill and many years of practical experience in the treatment of complex diseases and complicated clinical cases. Having graduated from the Riga Medical Institute, a young specialist continued her education at the Graduate School of Medicine, followed by residency training in the First Clinical Hospital. Throughout her medical practice Diana Maceejewski is actively improving her professional level, on a permanent basis attends relevant training courses, as well as taking part in various forums, symposiums and conferences. Today, Diana Maceejewski has served as the chief physician of the Department of radiotherapy Cancer Institute Medical Center named after Sourasky, and also works in a private clinic "Assuta" where practices the use of radiation therapy. it takes an active part in scientific conferences, which is a regular speaker, it is in professional societies, as well as engaged in academic activities. The Israeli Association of Oncology and radiotherapy. The Israeli Association for the fight against breast cancer. targeting lung metastatic renal cell carcinoma using the inhalation of interleukin-2.